What should your own networked researcher profile look like? What should a profile page look like for some researcher that you don’t know personally (yet), to support your decision if you should work together with that researcher? Pick one of these two questions. Next, grab a pencil and a piece of paper. Take 10 minutes time. Draw the profile page that you imagine. If you want to, just add some text for explanation, but you can do that later on when presenting your page to the group as well. Even if you are unable to join us in Paris: we warmly invite you to participate! 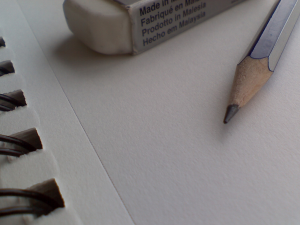 Take a photo of your sketch with your phone, send me your sketch until Friday, 11 June 2015 2.30 p.m. (Central European Summer Time), and I will blog a collection of them publicly. If you want to remain anonymous, no problem though. When the workshop is done, I’ll blog about the landscape of existing software and data for these kind of services in detail, but first, it’s up to you. Please don’t hesitate, and don’t feel constrained by anything. Obviously, there will be no „wrong“ sketches – just many ideas adding to a colourful impression on what a scholarly profile page may look like. Have fun! ← Zurück Vorheriger Beitrag: … und wo ist das E-Book dazu? Pingback: Impact of Social Sciences – What will the scholarly profile page of the future look like? Provision of metadata is enabling experimentation.